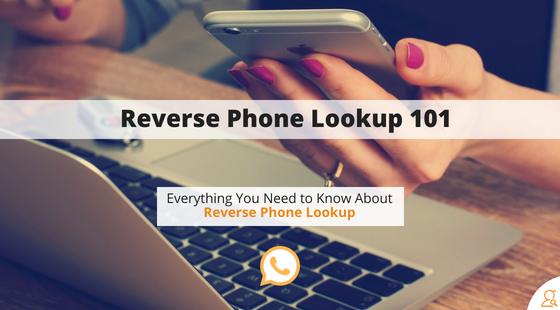 Reverse phone lookup is a handy tool for any business. It’s useful if your business misses a call and you’d like to know who you’re following up with. Or if a customer gives you incomplete information. Or if finding people based on tidbits of personal information is your business, reverse phone lookup is for you. Whatever the case, having more information about customers is better. Not only that, but reverse phone lookup can help customers find your business. So the benefits go both ways. Reverse phone lookup for landlines is fairly simple. Landline phone numbers that are or were attached to the PSTN (public switched telephone network) are listed in phone books published by phone companies. Paper phone directories have been transferred to computers. All the information is available online now. Any phone number that was listed in the phone book can be found using a simple internet search. An internet search is especially effective for businesses. Businesses want to be found, so if you do a reverse phone lookup for a business landline phone number, you’ll almost always get at least the business name and address. These numbers are either intentionally left out of phone listings, or they aren’t connected to the PSTN. In either case, phone companies usually don’t collect or publish information associated with these numbers. This means that there’s no central database for fax, cell phone, and VoIP numbers. The data is spread out among different people and entities. So, information for these types of numbers can be trickier to find. Searching the web for a number that’s not in the directory may still turn up some results if the owner of the phone number has listed their number in places like Facebook or has attached their cell phone number to a business listing. But a basic Google search isn’t very effective for doing reverse cell phone number lookups. However, there are services that track down cell phone and other unlisted numbers if you really need to find one. Short answer: yes, reverse phone lookup is legal. There’s no law against finding or accessing information using a reverse phone lookup, or for what types of phones you can use reverse phone lookup for. Long answer: yes, but be careful. It’s legal to get information using a reverse phone lookup. However, if you’re a business, there could be rules for how you use that information. For example, the Amazon Terms of Service for Amazon sellers have specific guidelines for what you can and cannot do with customers’ personal information. Violating the Amazon seller TOS can get you booted from selling on Amazon forever. Also, even though it may not be technically illegal, using someone’s address or email address without permission can irritate people or make your business seem scammy. There’s one last thing. 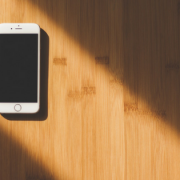 US privacy laws may get some overhaul in the wake of the GDPR implementation, so using the information you get with a reverse phone lookup could be even more restricted in the future. You won’t break any laws just by getting information with a reverse phone lookup. But what you do with that information could get you in hot water. Brush up on laws that apply to your industry before you start using any information you find. As I said earlier, reverse phone lookups for unlisted or cell phone numbers can be spotty. Google’s Phonebook Operator used to be capable of performing reverse cell phone lookups. However, Google received so many requests to have numbers removed from their index that they shut down the Phonebook Operator in 2010, making it much more challenging to do a reverse cell phone lookup today. It can take a lot of time. Since there’s no unified database for cell phone numbers, you’ll have to dig around quite a bit. If you’ve got a lot of phone numbers to lookup, you could be investing a significant chunk of time in searching. The information you find may not be accurate. You won’t be able to verify the information yourself. Depending on how and where you find the data, you may be able to reasonably presume that it’s valid. But it’s likely you’ll just have to go with whatever you find. There’s a good chance that you won’t find the information you’re looking for. People are getting smarter about their information. So, there’s less information sitting out where you can easily find it. Although it’s rare that searching Google turns up conclusive results, it’s still possible. The best case scenario is that the phone number you’re checking will have an attached business. You’ll easily find business information attached to phone numbers. Usually, you’ll get a mishmash of results. If the phone number search turns up a Facebook page, it’s your lucky day. Now, it’s not 100% guaranteed that you’ve got the person who actually owns that phone number. The original owner could have gotten a new phone number and never updated it on their Facebook page. But social media matches are some of the most reliable ones you can get with an internet search. 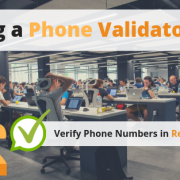 If you have additional information about the person, like a username or even a zip code, adding that to your reverse cell phone lookup could help turn up better results. Also, toss the phone number in some other search engines like Yahoo! and Bing. Every search engine has its own search algorithm and web spiders. This means it’s possible that one of the other search engines will churn up something that Google didn’t. If you’ve still got nothing, don’t give up yet. There are other options. Although Google can turn up some information from social networks, using the search engine in the social networking apps themselves is better for scraping information. Searching niche social networking sites and old ones like MySpace is also a good thing to try. Defunct social networks usually don’t turn up in Google searches because the sites gets so little traffic (RIP MySpace). But there are still a lot of old profiles sitting around in there that people have forgotten. They might still have some information on their page. This method is especially effective if you have something like a username to add to your search criteria. At this point, if you’ve still come up empty handed, there’s one more place to look. There are search engines specifically for finding people. There are plenty of free people search engines and reverse phone lookup tools that might get a bite for you. However, it’s important to note that most free people searches don’t have access to more information than you do. They just have search technology specifically designed for finding personal information. This also means that free people finders can’t guarantee that the information they find is valid. So, the reverse cell phone lookup may return information. But it’s unverified. If you’ve still got nothing, it may be time to turn to professional services. While the free reverse phone lookup methods work sometimes, the trouble is that it’s nearly impossible to verify the information you find without some help. There are services that provide reverse phone lookups and deliver verified information. Public records (court records, marriage records, death records, voting rolls). Using multiple sources means that these services can cross reference data and ensure that you’re getting the correct information. Most of the time, you can get information from the yellow and white pages for free. However, if you need information from the more confidential sources or the phone number isn’t available in the white and yellow pages, you may need to pay to have these sources searched. But these searches are fast and often inexpensive. If you’re using reverse phone lookups for your business, these services are usually the best option. If you get incorrect information from a free search, it could damage your company reputation and hurt your bottom line. Reverse phone lookup services are also ideal for businesses that need to get information for a lot of phone numbers. Doing your own searches for even a dozen phone numbers could take hours. Using a batch append service is the most efficient way to get information for large volumes of phone numbers. So, if you’ve got just a few phone numbers to work on, give the free methods a try. Who knows? You might get some hits. But if you’ve got a whole phone list worth of phone numbers to lookup, it may be time to find yourself a good reverse phone lookup service. You’ll be glad you did! Leave a comment and let us know which search method worked best for you, or check out our reverse phone lookup tool to lookup phone numbers now.